Wildflowers are most impressive in spring in the Smoky Mountains, but they are abundant from March to October. See my daily blog for more Smoky Mountains photos, and please stop in at the William Britten Gallery in Gatlinburg, TN. 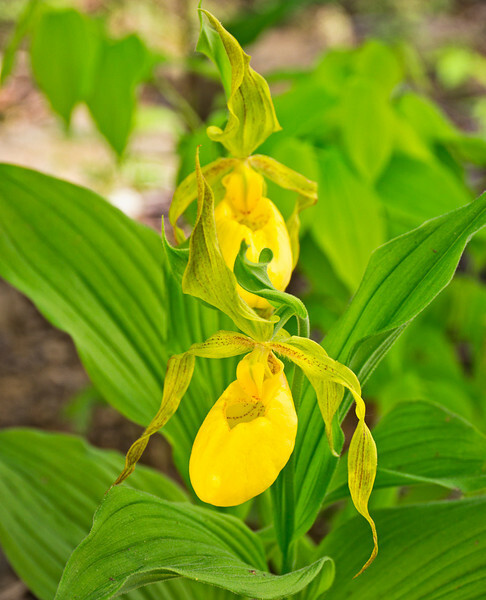 Yellow Lady's Slipper. Lots more Smoky Mountains photos of wildflowers over on my blog site.